In this Ninth Edition of Astronomy Today, authors Eric Chaisson and Steve McMillan communicate their excitement about astronomy, combining up-to-date science with insightful pedagogy. 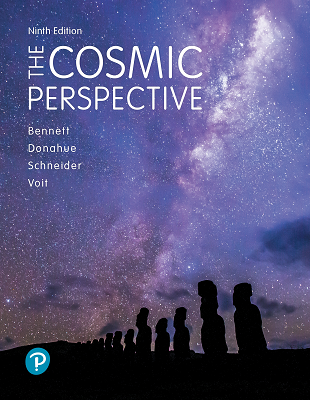 The text emphasizes visualization, focusing on the process of scientific discovery in order to teach students “how we know what we know.” Updated features in the 9th Edition, Big Pictures and Big Questions, help students connect the content of each chapter with a broader understanding of the universe while piquing student interest in current research. 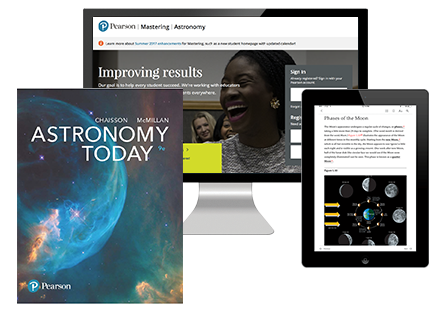 New features within MasteringAstronomy bring these features together and allow students to interact with astronomy outside of the classroom. The 9th Edition has also been thoroughly updated and revised to reflect recent discoveries in the field of astronomy.